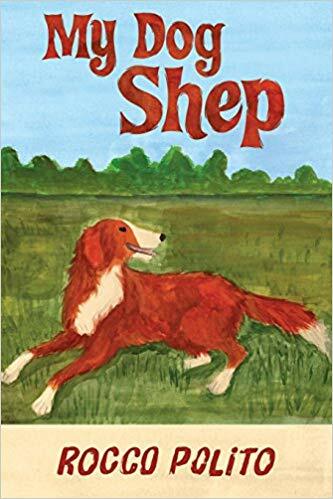 Inspired by his own experiences, the author narrates a heartwarming story of adventure in “My Dog Shep.” This book celebrates the beauty of genuine friendship between a young man and his dog. Discover a wonderful coming-of-age story through the eyes of a young boy named Ricky and his unforgettable adventures with a lovable dog named Shep. Rocco Polito narrates a wonderful coming-of-age story through the eyes of a young boy named Ricky. Growing up can be difficult if you don’t have someone to share the journey with. Luckily for Ricky, growing up becomes less lonely and difficult after one of his sisters brings home a lovable golden puppy for him to play and go to adventures with. In “My Dog Shep,” readers get to discover the easy bond and friendship that grew between Ricky and Shep as the years went by. Together, they grew up as the best friends discovering and exploring the world around them one adventure after the other. In everything that they do, Ricky collects unforgettable memories together with Shep as his favorite companion. Ricky would think he sees ghosts or monsters nearby but Shep was there to take care of him. Not only that, they help each other get things done while living the days of their lives on the farm. Ricky and Shep’s story is a reflection of Polito’s own experiences growing up. Through the story, he wishes to share valuable lessons to his readers about working hard in order to achieve great things in life. He also emphasizes the important roles that one’s family plays in each person’s life as well as being thankful for all the blessings that come. Indeed, “My Dog Shep” is truly a heartwarming story that readers of all ages will surely enjoy. With illustrations that breathe life to every page, the young ones and the young at heart will be delighted as they read through Ricky and Shep’s fun adventures. Soon, Polito’s book will join the celebration in the upcoming 2018 Miami Book Fair. Happening on November 11-18, 2018, this highly-anticipated affair gathers thousands of attendees from all over the world. Therefore, it’s a must-see event for book lovers and literary fans. Be sure to check it out! Rocky, the real-life Ricky, was born and raised in the rural area between the two small towns of Poland and Lowellville, in northeastern Ohio. After high school, he graduated with a bachelor’s degree in science from Marietta College, which is located in southern Ohio. He then went to work on his post-baccalaureate degree in the field of cardiovascular perfusion in Cincinnati, Ohio. He now lives with his wife in Michigan, where they both work for the University of Michigan Health Systems. Rocky is employed as a Cardiovascular Perfusionist where he operates the heart-lung machine life support systems and artificial heart devices both at the adult and children’s hospitals. Rocky still likes to wander about the old barn and junkyard now and then, especially with his nieces and nephews, while visiting his family. To this day, if you listen closely enough, he says you can still hear the distant echoes of Shep’s bark through the old junkyard and surrounding woods.